The World Health Organisation estimates Diabetes as the 6th leading cause of death. Diabetes is a significant cause of blindness, kidney failure, heart attack, stroke and lower limb amputation. Hence diabetes can be considered a chronic disease. The rate of insulin could be observed as the root cause for this disease. Sometimes, the pancreas does not produce adequate insulin, and this leads to diabetes. This deficiency in insulin is not preventable, and it is known as Type 1 diabetics. With regular administration of insulin, this can be balanced. The Type 2 of diabetes is when the body is not effectively utilizing the insulin delivered. This is the most prevalent form of diabetes, and the majority is suffering from this. Type 2 diabetes occurs as a result of physical inactivity and overweight. This could be prevented up to a limit with daily exercising. Apart from that, there can be gestational diabetes where the patient will encounter varied blood glucose levels. This mostly affects pregnant women and will create complications in delivery. In Ayurveda, diabetes is known as Madhumeha. Type 2 diabetes is often linked to the imbalance of Kapha Dosha, and obesity is said to be the primary cause. Health is the key to control diabetes, and this could only happen with physical exercises, healthy diet, and balanced lifestyle. On this World Diabetes Day, we are recommending some foods that can be included in your daily diet to control diabetes. The guidelines include eating more foods that are bitter, astringent or pungent in taste, and decreasing consumption of foods that are categorized as sweet, sour or salty. Indian Blackberry is an anti-diabetic food. This fruit has rich anti-oxidant properties, and the seed is most commonly used to reduce diabetes. Consuming the seeds of this fruit will slow down the conversion of starch to sugar. As a result, the blood sugar level will get low. Flax seeds enhance insulin sensitivity in glucose intolerant people. 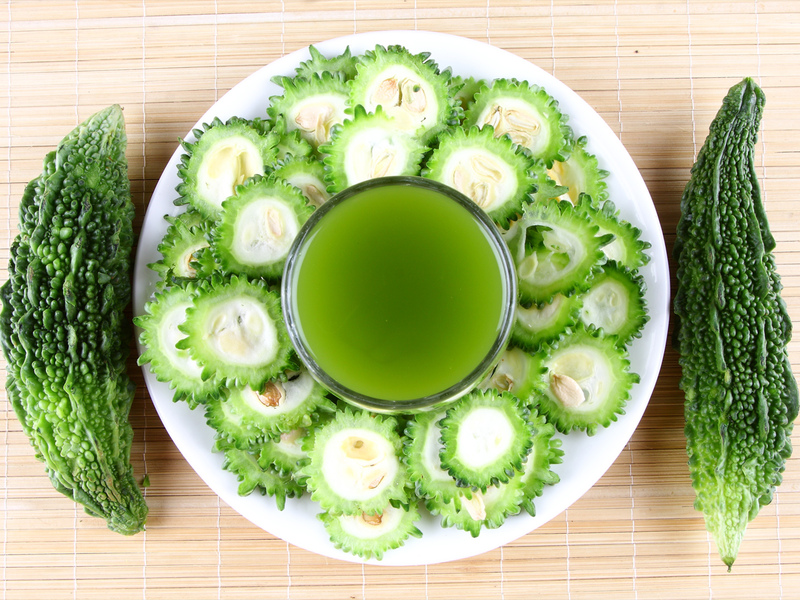 Its antioxidant properties help to control Type 2 diabetes in a better manner. Consuming a spoon of flax seeds daily can promote fasting blood sugar and cholesterol. Flax seeds help in diminishing the chances of heart complications and also the risk of strokes linked with diabetes. Bitter gourd comprises active substances that lend anti-diabetic attributes like charantin which is recognized for its blood-glucose-lowering impact and an insulin-like compound known as polypeptide-p. The best way to consume it is to have fresh bitter gourd juice early morning on an empty stomach. Fenugreek or methi seeds hold hypoglycemic properties that aid in reducing blood glucose levels significantly, holding diabetes at bay. A daily dose of 10 gm of fenugreek can reduce the levels of blood sugar. Triphala is a powerful antioxidant and is a combination of three fruits : Indian gooseberry, Beleric and Chebulic myrobalan. Triphala is effective in combating Type 2 diabetes. Consuming a glass of Triphala juice or two tablespoons of its powder every day can reduce blood sugar levels. Cinnamon powder or raw cinnamon helps lower blood sugar and fight diabetes. It simulates the effects of insulin and increases glucose transport into cells. It degrades sharp boosts in blood sugar following meals and enhances the potency and sensitivity of insulin. Drinking cinnamon boiled water every day can stabilize blood sugar. 1 in every 10 people suffer from mental disorders. Identifying mental disorders are hard, and treating mental disorders on later stages is tough. With psychological support and awareness, mental disorders can be eliminated. From this World Mental Health Day, invest more time to improve mental health and feel the difference. Following good health habits can help elderly people to find ease in lifestyle. It could even prevent serious health issues. These valuable tips could help seniors in achieving a healthier life and to live longer without struggles. Yoga teaches us that happiness is always available to us, no matter what our circumstances. Research confirms the profound influence of yoga on the body and the mind. The mind-body connection achieved through yoga is one of the most effective and natural ways to treat stress and depression, and generates feelings of peace.